Today's Image of Mars shows mounds in Chryse Planitia formed by a process called diapirism, which occurs when older material of lower density than overlying layers gets dredged up to the surface. Just imagine the rock as a very viscous liquid. If you put two types of liquid together the one with the lower density will eventually float to the top. That is what happened in this image of Mars. 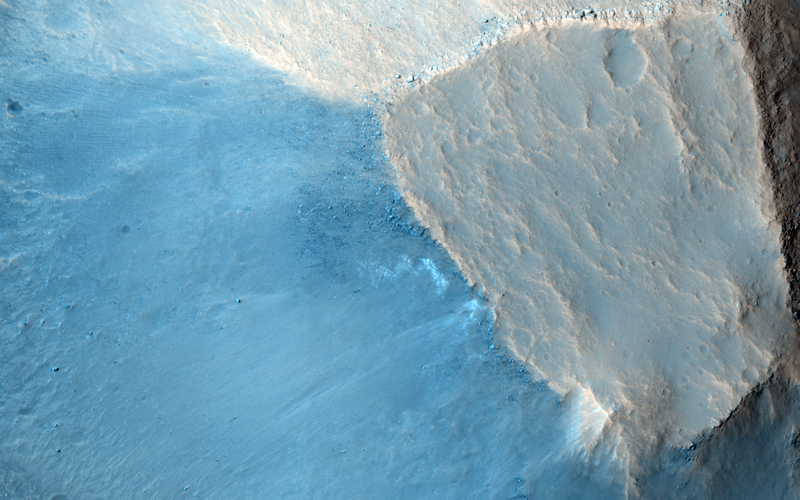 HiRISE images like the one below of these mounds will show us if clays or other aqueous materials are present. If they are present then scientists will be able to determine the material's age, which will tell us when water was abundant on Mars.